Wesfarmers Shares (ASX WES) Even Better Buy After Coles Spin-Off | MF & Co.
Wesfarmers Limited (ASX WES) is a leading Australian company, with supermarkets, liquor, office supplies, chemicals, fertilizer and safety product businesses. 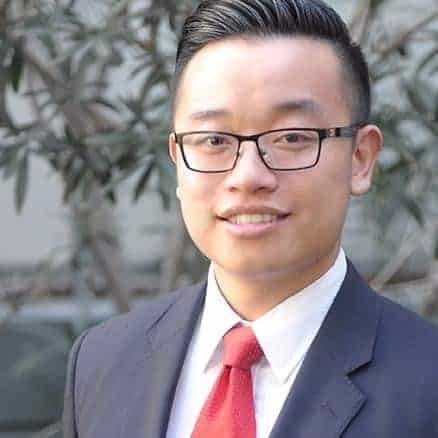 It is one of the largest companies in Australia with a $46 billion market cap. The company is the largest private employer with approximately 220,000 employees. However, competition in the consumer staples industry is getting fierce and they have made some missteps with their Bunnings UK venture. Having said that, the spin-off of Coles could be a great strategic move, allowing them to focus on other higher growth businesses. Wesfarmers is also one of our top dividend stocks to buy for 2019. Wesfarmers is a prominent Australian company previously known as Western Australian Farmers’ Cooperative. The company was established in 1914 and headquartered in Western Australia. It began due to a demand amongst rural worker unions for less working hours. Under Wesfarmers, the company owns famous brand including Coles, Target and Kmart. With AU$65.98 billion revenue in the 2016 financial year, it is the larger than Woolworths (ASX WOW) and BHP Billiton (ASX BHP). Wesfarmers spinning off Coles came as a bit of surprise to us as the Australian supermarket industry is still currently a bit of a duopoly. However, Wesfarmers did look to have paid a bit too much for Coles. Wesfarmers bought Coles from Coles-Myer for $22 billion in 2007 and the same assets are currently valued at about $28 billion by Credit Suisse. Considering the amount of cash that Wesfarmers has poured into the business from a 4$ billion capital raising to another $8 billion spent to smarten up the image to take on Woolworths (ASX WOW), it seems like Wesfarmers only really broke even on the deal. 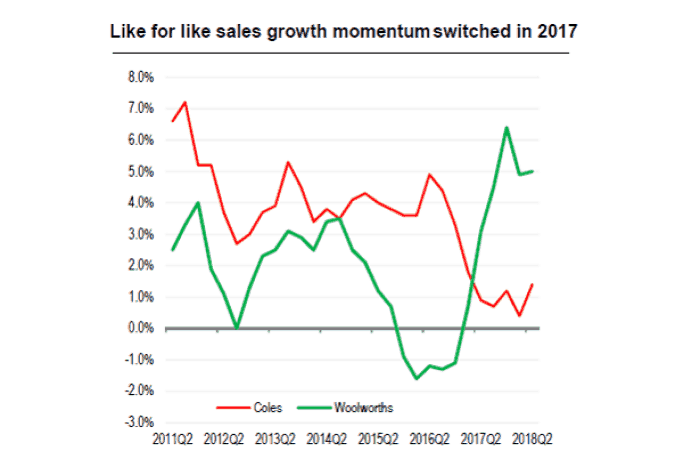 In addition, since the start of 2017, Woolworths has really picked up their game and like for like sales growth momentum has completely switched between the two bitter rivals. At this point, Wesfarmers management believes they may have picked all the low hanging fruit from Coles in terms of cost-cutting and productivity gains. Wesfarmers stock first-half profit has plunged due to impairments against the two UK businesses of more than $1.3 billion. They are Bunnings UK and Ireland accounting for $1.023 billion and Target $306 million respectively. If Wesfarmers decides to withdraw from the UK and close or sell Bunnings UK, it is estimated that losses could be as high as $3.2 billion. This loss will exceed Woolworths’ $2.6 billion loss on Masters. A final dividend of $1.20 per share was declared for FY 2017, lifting the full-year dividend to $2.33 per share compared with $1.86 in 2016. The company’s results for the year illustrated the advantages of its conglomerate structure. Although ASX WES shares saw falling profits from Coles in the United Kingdom and Ireland, the company saw increased earnings from Kmart and Bunnings in Australia and New Zealand. Losses in Target have also been reduced. Difficult trading conditions contributed to lower than expected sales for the first-half of the 2018 financial year. Target has progressed its strategic plan, significantly reducing its cost and inventory levels, improving merchandise variety and increased direct sourcing. These improvements have stabilised its earnings base and partially mitigated the impact of difficult trading conditions in an increasingly competitive market. 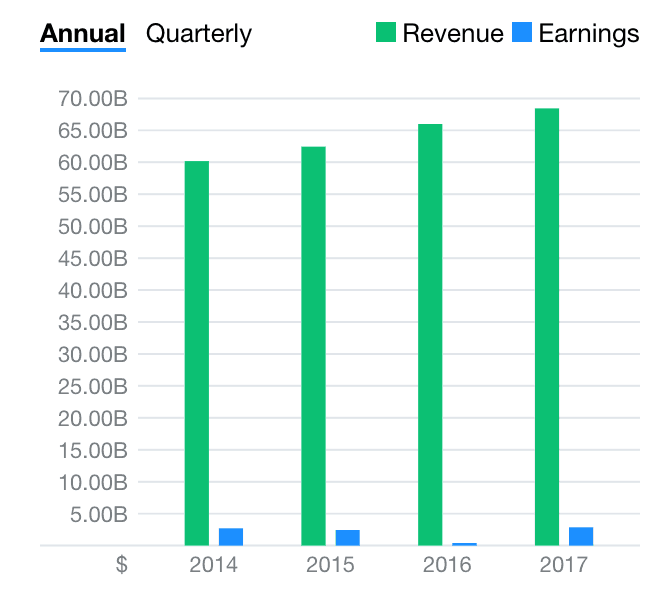 Despite a decline in expected sales in HY2018, Target is expected to report EBIT of $33 million for the half. This represented an improvement of 13.8 percent on underlying earnings of $29 million in the prior corresponding period. Wesfarmers stock suffered a sharp fall in net income in 2016 but recovered in 2017. The fall in net income was due to high cost rather than lack of revenue. We can see a stable increase in revenue for Wesfarmers stock in the past 4 years. The Price to Book ratio for WES shares is 1.93, indicating it is cheaper than its main competitor Woolworths with a much higher P/B at 3.66. Additionally, WES shares profit margin last year was 4.2%, compared to Woolworths 2.76% indicating Wesfarmers has much more resilient revenue lines than Woolworths. Despite the Bunnings UK issue where Wesfarmers is expected to write off a lot more than what they invested, Wesfarmers stock over the years has continued to outperform Woolworths and continues to do so. In addition, Wesfarmers Bunnings Australia business is market dominant, so the Wesfarmers portfolio is still extremely strong and resilient. Even though Bunnings UK has hit Wesfarmers bottom line hard, Wesfarmers is moving quickly to manage the fallout. If they have learnt anything from the Woolworths Masters fallout, they will contain the damage and fix this before it causes any more damage. 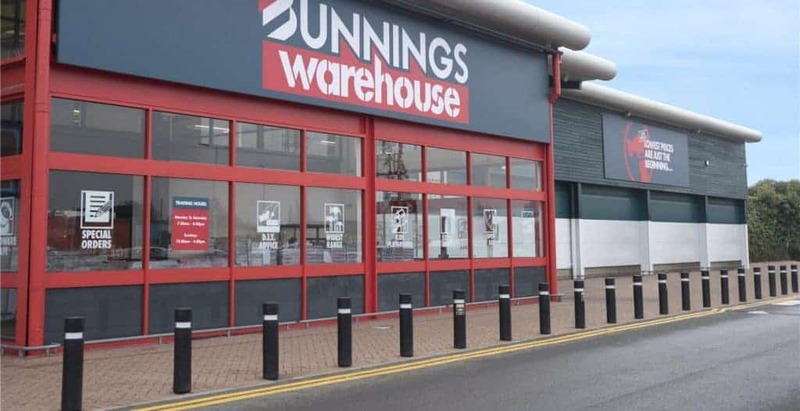 Provided that Wesfarmers can quickly stem the bleed from Bunnings UK, the spin-off of Coles could be a good sign and allow Wesfarmers to focus on other higher growth areas. We expect Wesfarmers stock to continue to perform well if not better after the spin-off.